I grew up eating zucchini. It was the only squash I can remember having as a child. And our favorite way to eat it was breaded and fried – one of dad's special decadent treats right up there with homemade onion rings. Fast forward to my early twenties, I'm out on my own living in this gorgeous historic Irving Gill house that had been totally dissected off into "apartments" with no control over who my roommates were going to be and I completely luck out and get two of the best roommates one could ever want. We immediately bonded, providing a united front where our, I do not exaggerate, lunatic of a landlady was concerned. One of the gals was an outgoing, warm-hearted Texan who I have remained friends with all these 20 plus years later. 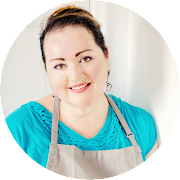 From her I learned about chili spaghetti, olive oil poached eggs and the best Tex-Mex breakfast burritos I have ever had. The other gal was an accomplished sophisticate from Mexico City and moved country to country studying dance. She decided to temporarily settle in the U.S. when she got the opportunity to study dance with Jean Isaacs. It's from her that I first became exposed to spaghetti squash. I had never heard of it let alone seen it but I was intrigued. She made it simply: roasted, the flesh scooped out into a bowl, strands separated then mixed with two pats of organic butter and kiss of parmesan cheese, topped with plenty of freshly ground black pepper. That first taste had me hooked for life. She ate it often to help curb her cravings for pasta which she didn't indulge in often as she worked hard to keep her inherintly curvaceous body in top dancer's form. This past summer, my good friend Joanna was in town visiting and we decided to check out a new restaurant at our local mall for dinner. They had a spaghetti squash casserole on the menu which we decided to split. It was simply heavenly. Since I enjoy trying to recreate dishes I like at home, experimenting until I come up with something that reminds me of the dining experience, I naturally had to try my hand at this one. I gotta say, I haven't had this dish at the restaurant again because I came up with a version that I rather enjoy. The longest part is the initial roasting and then the baking but the actual hands on time is relatively short. For a mid-week dinner, roast the squash the day before so all you're doing the day of is assembling and baking it off. 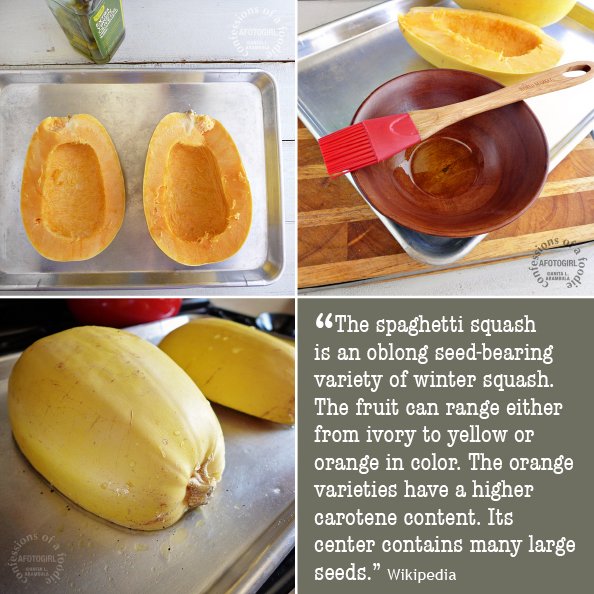 Spaghetti squash, like all squash, is considered a super food and is a good source of potassium, folic acid, beta carotene, vitamin A and dietary fiber. 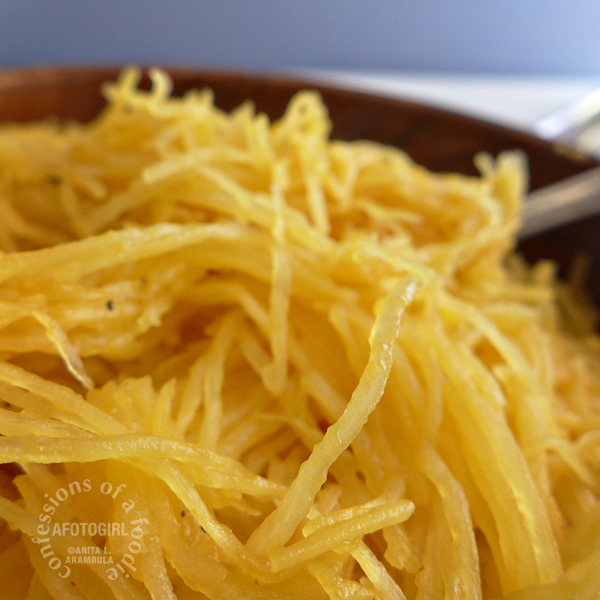 A one cup serving of cooked spaghetti squash is 42 calories with a carb count of 10g (4 of those sugar). Compare that to enriched pasta and you're saving well over 170 calories and about 33g of carbs per serving. This squash is available year round being most abundant in the fall. It can be stored for up to 6 months in a cold cellar (between 50 and 60 degrees Fahrenheit) or up to one month in a dimly light storage area at room temperature. 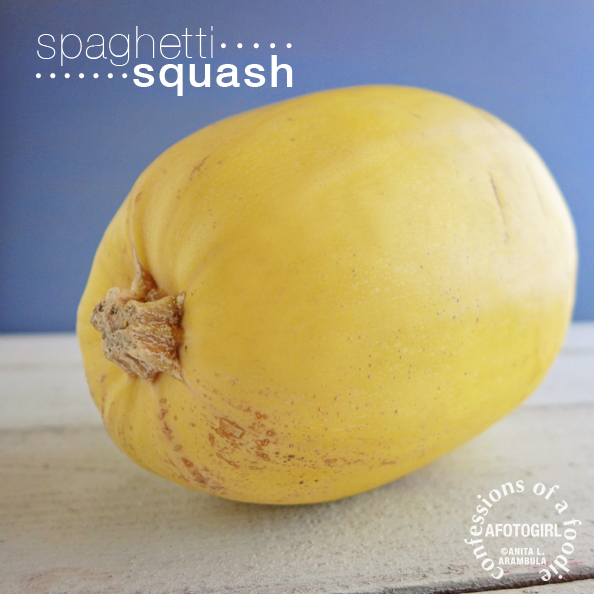 Cooked spaghetti squash can be stored for 2 to 3 days in the refrigerator. It also freezes well and after completely thawing, can be steamed for 15 minutes and enjoyed in your favorite prep. It looks intimidating but really, the hardest part is trying to cut the dang thing in half if you opt to cut and seed instead of roasting it whole. The benefit of cutting before roasting is that the cooking time is shorter (45 minutes as opposed to 60-70 minutes). Place a dish towel on your cutting board to help stabilize the squash while cutting. Make sure your knife is very sharp. 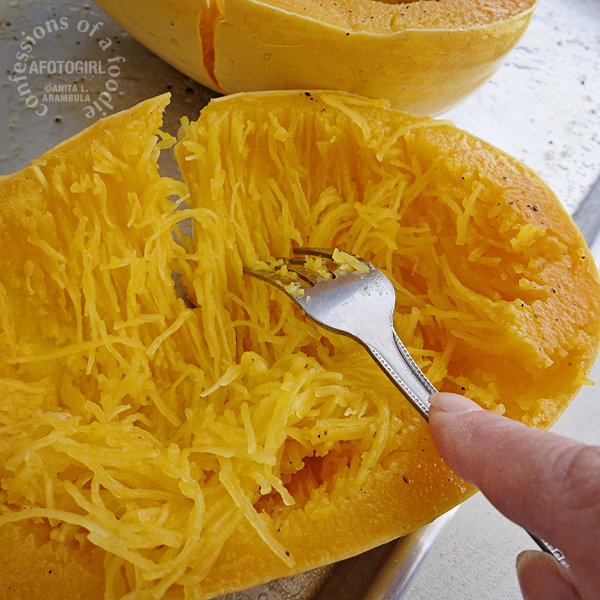 Lay the squash lengthwise on the surface and use the tip of your knife to pierce through the rind rocking the knife a little if you need to. 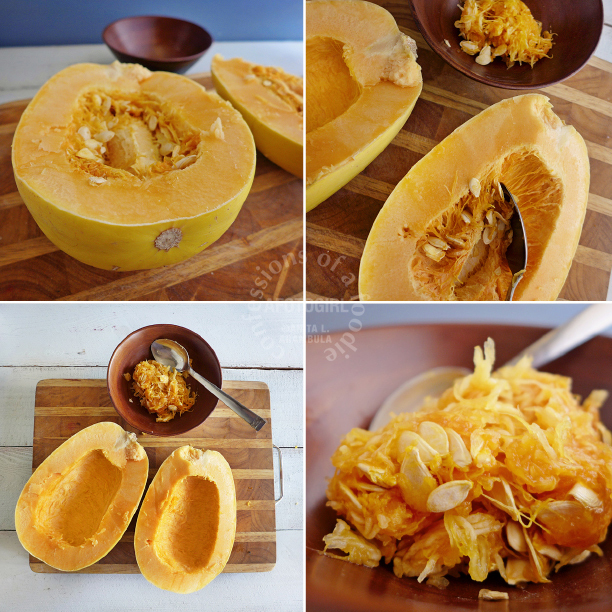 Once the cut is through the rind, carefully cut through the lower half of the squash, removing the knife and repositioning as needed, then turning rotating the squash as needed until you've cut all the way around the length of the squash. Remember to move slowly and carefully, always cutting away from you. Brush on a light coat of olive oil (optional) and sprinkle the squash with kosher salt and freshly ground black pepper to taste. Place cut side down on a rimmed baking sheet. Add 1/2 cup water to the pan and roast for 45 minutes (35 minutes if you would like a little crunch or if it's on the smaller side). Remove from oven and allow to cool for 5 minutes before handling. Using a fork, scrape out the flesh moving the fork from stem to tip for shorter strands or from side to side for slightly longer strands. Toss with butter, parmesan and freshly ground pepper and enjoy as is or leave the butter and cheese out if using the flesh in the casserole recipe below or if topping with your favorite bolognese sauce. Place a skillet on medium heat and add two tablespoons butter. Add the olive oil. This will help keep the butter from burning. Add the onions to the melted butter and cook until just translucent, about 3-4 minutes, stirring often to keep from browning. 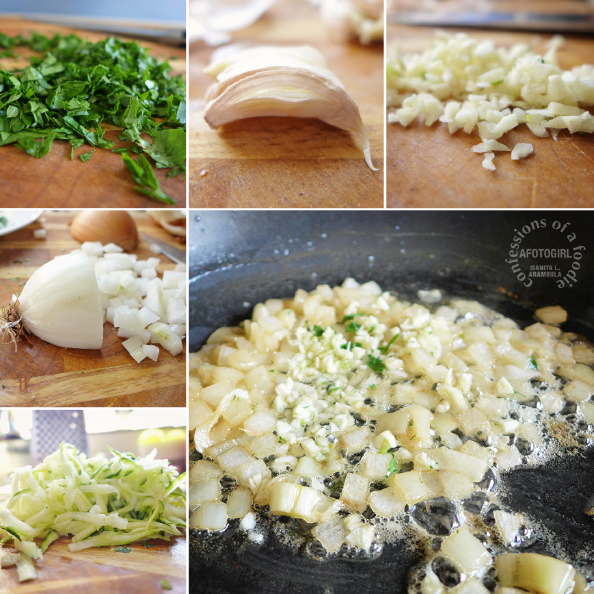 Add the garlic, parsley and cook for 3 minutes, stirring constantly to keep the garlic from burning. 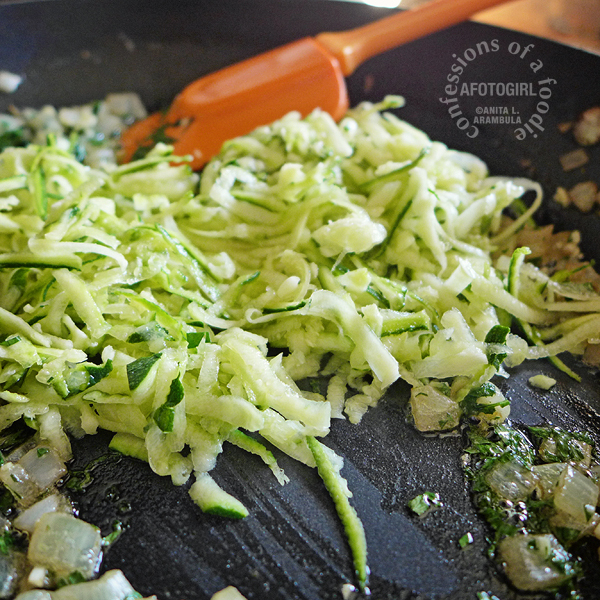 Add the zucchini and stir to incorporate and heat through. Season with kosher salt and freshly ground black pepper to taste. 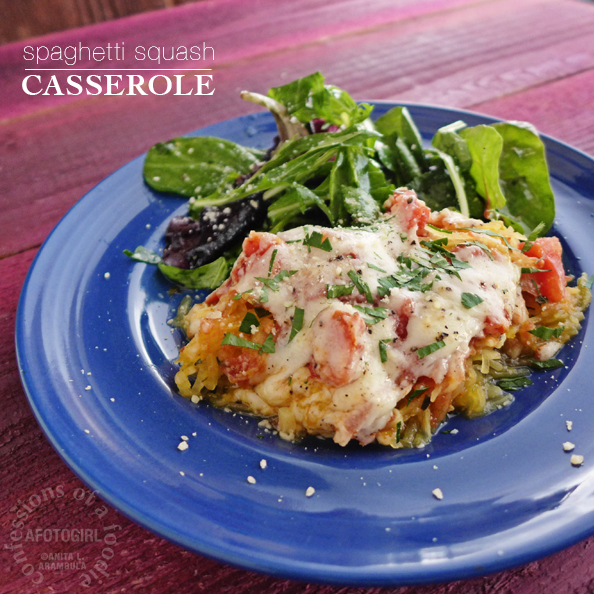 Add the spaghetti squash and cook for 3 minutes stirring to incorporate everything. Remove from heat and add half the parmesan. Stir well to combine. Taste and adjust salt and pepper to taste. 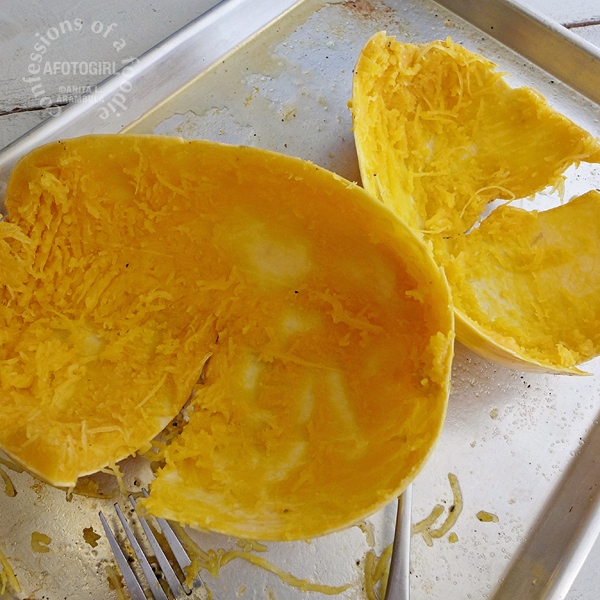 Place the squash in the baking dish and spread out evenly. Spread the tomatoes over the squash and top with the mozzarella cheese. 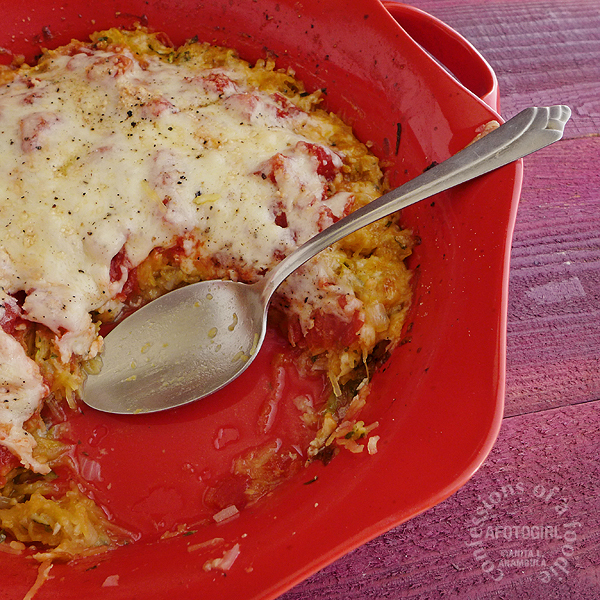 Finish by sprinkling the second 1/4 cup of parmesan over the casserole. Bake for 30 minutes or until the cheese is bubbling and just beginning to golden. Let stand for 10 minutes before serving. As an entree, serve with a slice of crusty bread and an arugala and baby green salad dressed with freshly squeezed lemon and a drizzle of olive oil and kosher salt and freshly ground pepper to taste. from the photo. So my casserole was a little "wet" but that didn't change the taste one bit. 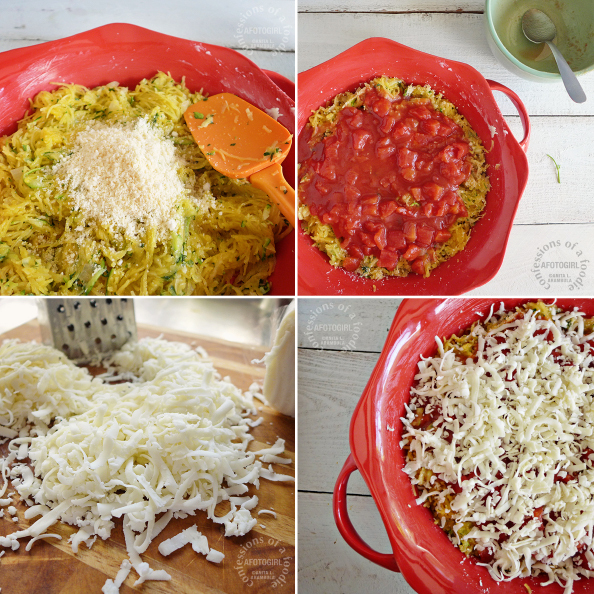 Your turn: Have you tried spaghetti squash before? 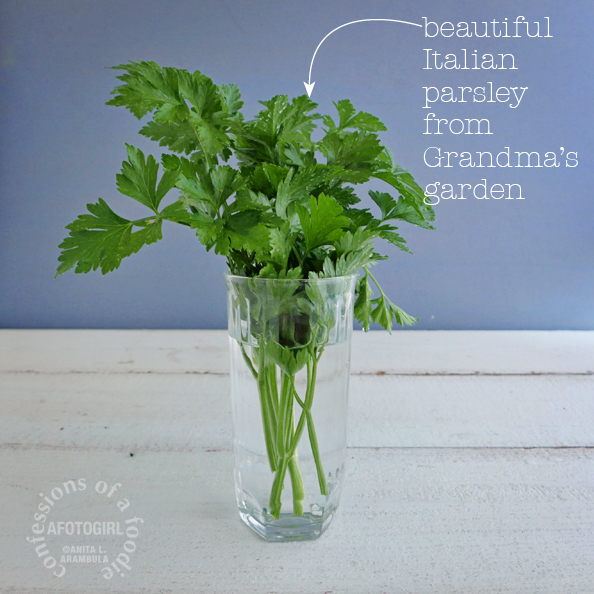 Does it work for you as an alternative to pasta?